When will be Once a Thief next episode air date? Is Once a Thief renewed or cancelled? Where to countdown Once a Thief air dates? Is Once a Thief worth watching? 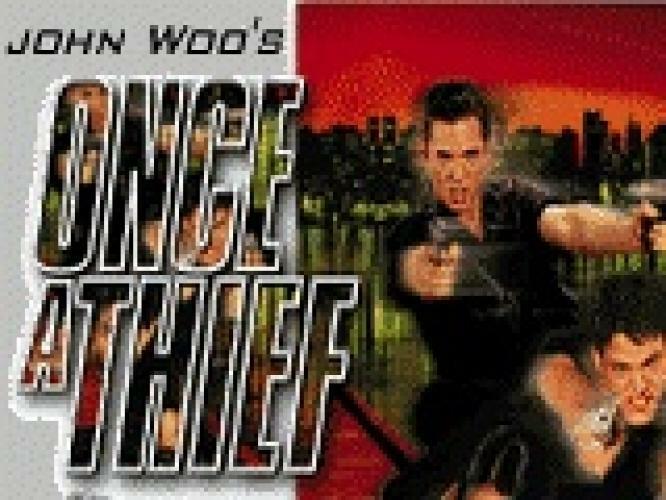 Once a Thief is a canadian action/comedy show loosely based and inspired by the John Woo movie of the same name. When the former member of an Irish terrorist group begins stealing antiques and blowing up antique trucks, the agency's number 1 spy in the British division - Ian Leslie, with a licence to terminate - joins them. He's suave, sophisticated and is spending a lot of time getting to know Li Ann. Mac and Vic, obviously jealous, try to interfere with their relationship. The Director also warns her to stay away from him as he is really there to kill the terrorist. Ian denies it but Li Ann is unsure. A politician requests protection after an assassination attempt. But when the politician requests Mac personally, he may have an alternate agenda. Mac is accidentally poisoned by Murphy and Camier. The Godfather is assassinated, which cause the team to break up. In the aftermath of the Godfather's assassination, the team comes close to breaking up, but the arrival of a top-notch assassin who not only is gunning for the Director but used to WORK for the Director (pre-Murphy and Camier) keeps them together. Li Ann is ready to believe in Michael again, who is working with the Director, but Mac is having his reservations. Mac finally does reach out to Michael, only to have it all blow up in his face. Once a Thief next episode air date provides TVMaze for you. EpisoDate.com is your TV show guide to Countdown Once a Thief Episode Air Dates and to stay in touch with Once a Thief next episode Air Date and your others favorite TV Shows. Add the shows you like to a "Watchlist" and let the site take it from there.